Advanced Heating & Cooling offers a diverse range of heating equipment to suit the unique needs of your home and meet your highest expectations. As a Carrier Factory Authorized Dealer, we are able to offer furnaces, heat pumps, boilers and geothermal options of superior efficiency, durability and heating power with the most innovative features. Geothermal heating and cooling is the most economical, clean, non-polluting, proven home comfort technology available today. For every unit of energy used to operate the system, three to four units of energy are produced. Because it is flameless, geothermal produces no health or safety concerns. Geothermal heat pumps use between 25% to 50% less electricity compared to conventional heating and cooling systems. With an estimated lifespan of around 25 plus years for inside components and 50 plus years for the ground loop, geothermal is an amazing investment. Geothermal systems tap into the relatively consistent temperatures of your own backyard, running on electricity but using the earth’s thermal energy to pre-condition refrigerant used to heat and cool your home, so you can benefit from higher energy efficiency, no matter how extreme the weather turns outside. An energy-efficient natural gas furnace will save hundreds of dollars per year in heating costs for the average single-family household. Gas furnaces provide a continuous flow of even heat, heating your home faster while using less energy. Natural gas is clean burning and is an extremely economical means of heating because the fuel required to operate it is minimal and the fuel itself is far cheaper than electricity. Most boast AFUE ratings between 89 and 98%. Oil furnaces are seeing a newfound popularity as an affordable and environmentally friendly home heating solution. Oil equipment provides more heat per BTU than any other heating sources. Most have AFUE ratings between 80 and 98%. They work as an ideal alternative to propane furnaces in rural communities that do not have natural gas lines. Propane is a clean fuel, and when burned, does not provide significant carbon dioxide. A portable energy source, propane heats quickly and is a viable alternative when a natural gas source is not readily available. Expect a much smaller electric bill with a gas boiler for home heating compared to an electric system. Gas boilers utilize very little electricity since the heat generated from it comes from the burning of gas instead of by electrically heated coils. Boilers are better for the environment than many home-heating options and can have over a 97% efficiency rating, which makes them perfect for most homes. Contact Advanced Heating & Cooling! Advanced Heating & Cooling is your one-stop shop for home heating solutions. Our diverse range of options ensures finding the right fit for your expectations. Call us, and we’ll design the ideal system to keep your home warm and comfortable this winter. Click to review us on Google! 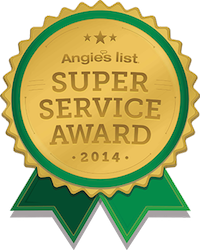 Click to review us on Angie's List!